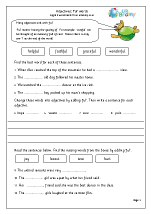 Adjectives form a major part of grammar work in years 1 and 2 and children will be taught that an adjective is a word that describes somebody or something (e.g. 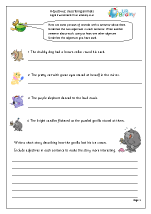 old, careful, huge). 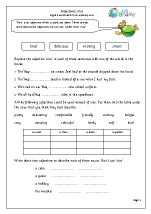 Children will also be shown that adjectives usually come before a noun, but they can be put after linking verbs such as be, get and look in a sentence such as: Those cakes look fantastic. 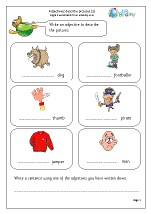 Because adjectives are now included so early in the curriculum we have published two sets of worksheets on writing adjectives to describe pictures, both of which can be used in Year 1. 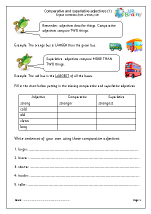 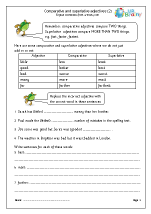 In Year 2 children will be expected to form adjectives using suffixes such as ful and less. 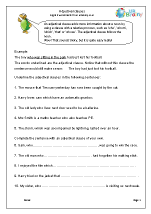 Watch out, in particular, that children do not use full when changing a noun such as care to an adjective, careful. 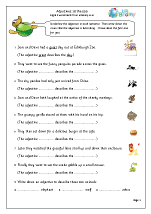 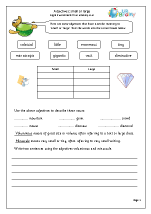 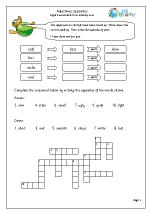 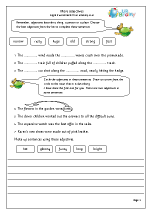 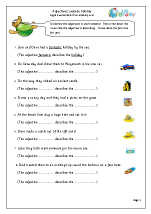 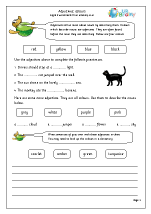 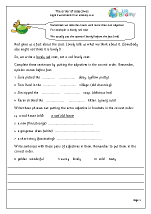 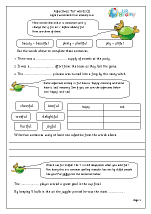 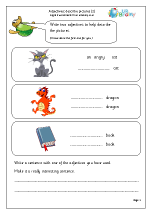 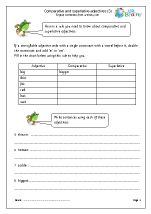 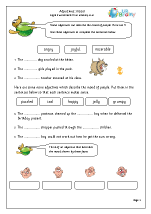 For older children we have sets of worksheets on comparative and superlative adjectives, adjective phrases and adjectival clauses.